Description: Online Boutique & Maxi Dresses - Saved By The Dress is a business categorized under womens clothing stores, which is part of the larger category women`s clothing stores. Online Boutique & Maxi Dresses - Saved By The Dress is located at the address 1501 Northwest 82nd Avenue, Miami, FL, USA in Miami, Florida 33126. 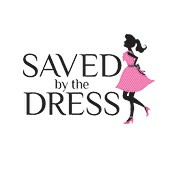 The Marketing Assistant is Victoria Tan who can be contacted at (786)299-5125.
Review: Saved by the Dress is a top-rated online boutique specializing in trendy clothing and dresses at affordable prices. Shop our selection of maxi dresses, formal dresses, sun dresses, casual dresses, shoes, skirts, rompers, and more! We make it our mission to offer stylish pieces that will make you feel like a VIP- Very Important Princess! We offer fast and free 2-3 days shipping on all orders over $50 and we feature new arrivals daily! Don't forget to sign up for our newsletter for $15 off your next order! Location & access map for "Online Boutique & Maxi Dresses - Saved By The Dress"